Home / Blog / Is a reverse mortgage right for me? A reverse mortgage is a financial product which could be advantageous for home-owning seniors who need to increase their cash flow if their income or assets are insufficient to cover their cost of living. Also called home equity conversion mortgage (HCEM), this financial instrument is accessible to homeowners aged 62 and over. An HCEM is workable if, as a senior, you want to remain in your home and don’t owe much on your house or its mortgage already fully paid. There’s a cap though on how much you can get in a reverse mortgage which provides for an initial principal limit or IPL. The amount you can get under this IPL rarely exceeds 60 percent of a home’s value and has a ceiling at $625,000. The exact amount you can qualify is computed by factoring the value of your residence, your age, the type of HCEM you’re applying for and its interest rate. There are various ways by which money is disbursed to the borrower in a reverse mortgage. One is lump sum; other options include monthly payments for a fixed time period or until the borrower moves or passes away. You can also maintain it as a line of credit, accessing the loan amount only when you need money. This option could also be combined with monthly payments. In case of death or if the borrower moves out of the house, the HCEM’s outstanding balance has to be paid off. The home’s remaining equity goes into the estate. and your heirs can still inherit the house provided the loan is current and its taxes/insurance have been paid. All these look like a neat arrangement, but here’s the thing. In recent years, HCEM’s reputation has been tarnished by some unscrupulous lenders who make misleading claims. It carries the risk of scams and fraud too, according to regulatory authorities like the Consumer Financial Protection Bureau. What’s even more bothersome, a reverse mortgage carries associated fees that can quickly erode your home’s equity. An HCEM origination fee, for instance, can chop a good 2 percent off from the initial $200,000 of the property’s value. Plus either $6,000 or 1 percent from the remaining value. 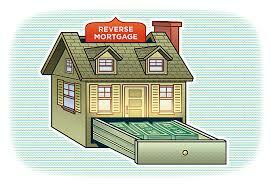 One sure turn-off for a reverse mortgage is that, you are essentially just borrowing money from yourself. What may be more ideal if you need the money to quickly improve your finances is to already cash in on your home equity by selling it. At House Sold Easy, we offer solutions by which homeowners can immediately monetize the equity that they have built on their property over the years. What’s good about our methods is that we buy houses in any condition and at their fair market value. As real estate investors for over 10 years, we can close a deal in two weeks to the benefit of those property owners who need to sell house fast. Call us at 636-525-1566. Our team of senior buyers will give you a free, no-obligation quote on your house.